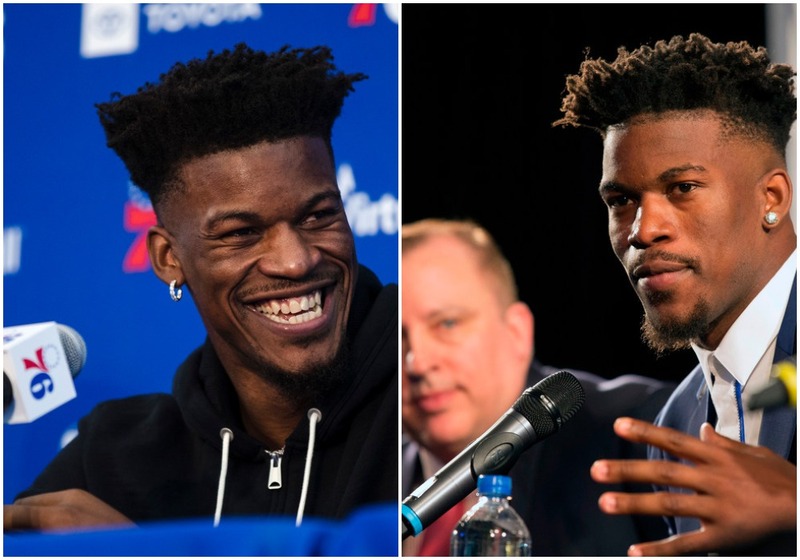 The next step in closing the loop on the Jimmy Butler era in Minnesota arrived Tuesday when both Butler and the players the Wolves received when they traded him were introduced to their respective new teams and fan bases. Butler is the celebrity of the bunch, and his news conference was earlier in the day. Stop me if you’ve heard this before, but Butler made a strong first impression on his new fan base in Philadelphia. Watching the livestream video on Twitter – complete with all the hearts and comments that go with it in real time – was a reminder of how good Butler is in these situations. His over-the-top introduction with the Timberwolves just 16 months ago at Mall of America might have been the single biggest occasion of “winning the press conference” that I’ve witnessed in local sports. On that day, he gushed about the potential he saw with the Wolves young core, promised to recruit even more talent to play in Minnesota and sold a fan base on his sincerity. Anybody, it turned out, except for Butler. The future, as is often the case, wasn’t quite what we imagined – particularly as it hurtled and sputtered toward an uncomfortable present. Less than a year after that introduction, there were signs Butler wanted out. Those signals became amplified two months ago with his official trade request. If there is any lingering residue from all that happened in Minnesota, Butler did his best — of course — to downplay it. He said his relationship with longtime coach Tom Thibodeau is still in good standing and that he wished all his former teammates well. He probably needs to, in this case. If he wears out another welcome as quickly as he wore out the one here, Butler might start running out of chances to win the press conference.